Want to know what’s in the depths?, You see a cavity and want to know what’s inside? 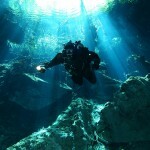 Technical diving can give you the answers safely, with the best methods of teaching and training in technical diving. The adventure begins now. 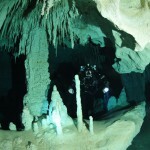 Cave diving is becoming more and more popular. It used to be known as a difficult and even dangerous sport. Now, with proper training and equipment it is available to many experienced divers.